Dads have so much influence in our lives. They are always available to offer their unconditional love and attention that we, kids, love. During days like their birthdays, anniversaries, and Christmas, it would be an excellent idea if you take your time to give your father a gift. For instance, a father whose hobby is fishing would love to have gifts that make his fishing expedition more fun or straightforward. You can choose from a myriad of products from the market. 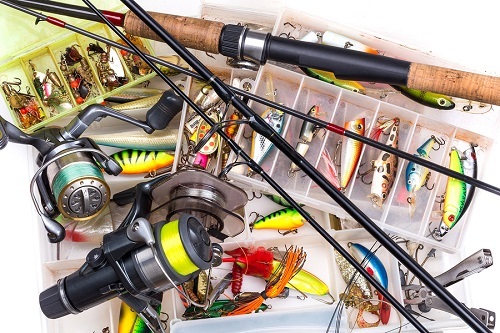 This article highlights five most essential fishing gifts to consider during one of his special days, like Father’s Day. Anglers have a lot to carry when going out to the waters. It is so frustrating when you find that you left something that you needed after you reach your destination. Backpacks should be extra large and comfortable at the same time. I mean, you want something that will fit everything, and most of all, something that will remain light even when packed full. Another consideration is to choose a waterproof pack. You never know when the skies could open up. They can destroy everything within it if the water seeps through the bag. As an engineer is to an overall so is an angler to a fishing wader. Fishing is a risky venture because if you have a sore chest, it is easy to catch a cold since you will be in contact with water most of the time. Bestow one of these upon dad and guard them against cold. It adds warmth to your body and keeps water from penetrating through. You will get a variety of them in the market. Choose the breathable or the non-breathable fabric depending on your preference. Your dad has every reason to leave his expensive phone behind. Think about it, the water is a hazard, the weather can turn out grumpy, and you end up with a destroyed mobile phone, especially if it is not waterproof. But it is also critical to know that you need it for notifying other anglers if you are meeting up, for emergencies, and the list is endless. Therefore, get one of this and help your dad take his phone with him every time he is on a fishing expedition. Be sure that it is waterproof. Flashlights are a vital tool for any angler. If he hangs around the river or lake with his friends until daylight is over, he might need one of this. Remember there are no streetlights in the middle of the sea. Thus, the angler will need some form of light when walking on mud and different paths on and off the boat. Be sure to purchase light and durable ones. The heavy ones can discourage one from carrying since it is extra baggage. Additionally, the battery should stay long. Sometimes, getting a catch can be a problem. You would want something to keep you busy while you wait for the bait to do its job. Getting a drink, especially a cold one, can do the trick. Therefore, instead of having to freeze your bottles in the refrigerator, buy a cooler. It will deem necessary when the sun is up, and you need something to cool your body system. Besides that, go for one that can withstand harsh conditions like when you are in a salty water body. At best Trout Fishing Lures, we have the most prolific fishing products to buy for a fishing hobbyist. You will also find the best fishing gifts.